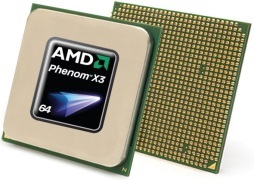 AMD released the first Phenom processor in 2007. Unlike Intel's Core 2 Quad processors, which are a multi-chip module (MCM) design, AMD's Phenom processors had all cores on the same silicon die. Not much is known about the Phenom X2 because AMD discontinued the model immediately after release. AMD never communicated the reason for discontinuation, speculation is that the model couldn't generate sufficient revenue or that the Phenom II processor was scheduled for release in late 2008. The Phenom II is AMD's successor to the original Phenom. They are multi-core processors using a 45nm manufacturing process and the AMD K10 microarchitecture. The Phenom II X4 series has 4 cores on a single die. 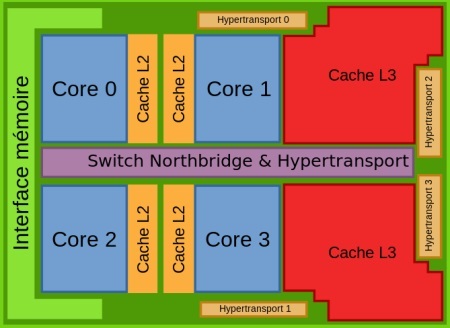 Each core is equipped with 512K L2 cache, and all four cores share a 6MB L3 cache.